ASUS Zenbook UX305 specifications, info. ASUS Zenbook UX305 news and review links. The Macbook Air 2015 brings with it Broadwell cpus to replace the Haswells but it has an Intel HD 6000 gpu instead of the 5000 series. It will be competing with the likes of Dells XPS 13 and Toshiba's KIRA 10 series among several others. The X1 Carbon is an ultraportable device with a base made of magnesium and aluminum. The display (IPS) cover uses carbon-fibre and glass-fibre reinforced plastic, and the hinges are reinforced with carbon fibre. More tough than classy. The keyboard and touchpad have been revised from the previous model. 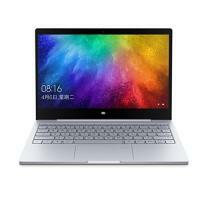 It's reasonably thin and light especially for a 14 inch laptop, a choice from a powerful set of Broadwell ULV cpu's can be chosen, up to 8GB RAM and various serial ATA storage up to 512GB. OneLink dock and Gigabit ethernet ports included. This Toshiba CB30 Chromebook model has a full HD IPS screen and its weight is ok for a 13.3 inch laptop but it's price may not be. The speaker system has been tuned by Skullcandy - is this is good thing? There is 100GB of cloud storage for 2 years and of course you get Google Docs as an office suite as well as the Chrome apps from the Web store. The Fujitsu S935 is a top quality laptop with a top quality price. The system is powered by a choice of Broadwell core i5/i7 processors. You can add a modular battery, blu-ray or dvd players. Two batteries of 51 Watt-hours + 28 Watt-hours - battery life should be 9 hours on wifi. There are also higher res screen options to 2560x1440.